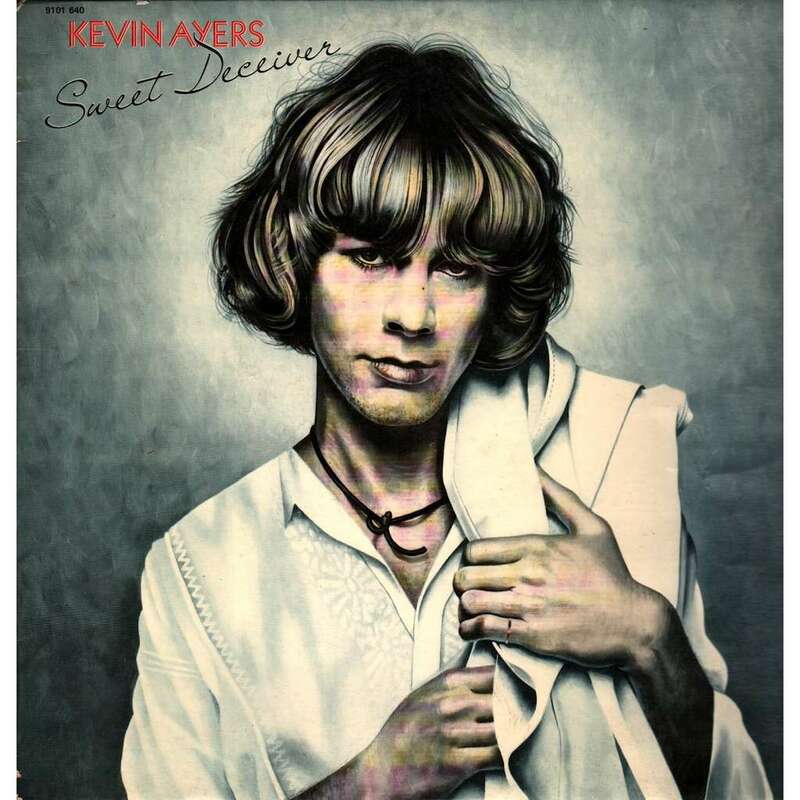 ‘Sweet Deceiver’ is the sixth studio album by Kevin Ayers and his last for Island Records. By 1975, Kevin Ayers was on the books of Elton John’s manager and business partner, John Reid, who attempted to turn him into a mainstream artist. Reid’s idea was to market Kevin as “a pretty boy rock star” and the Athena poster-style painting he commissioned for ‘Sweet Deceiver’ reflects this. Kevin, however, was still a maverick at heart (thank goodness!) and the packaging of the LP didn’t really hint at the introspective songs which it contained. 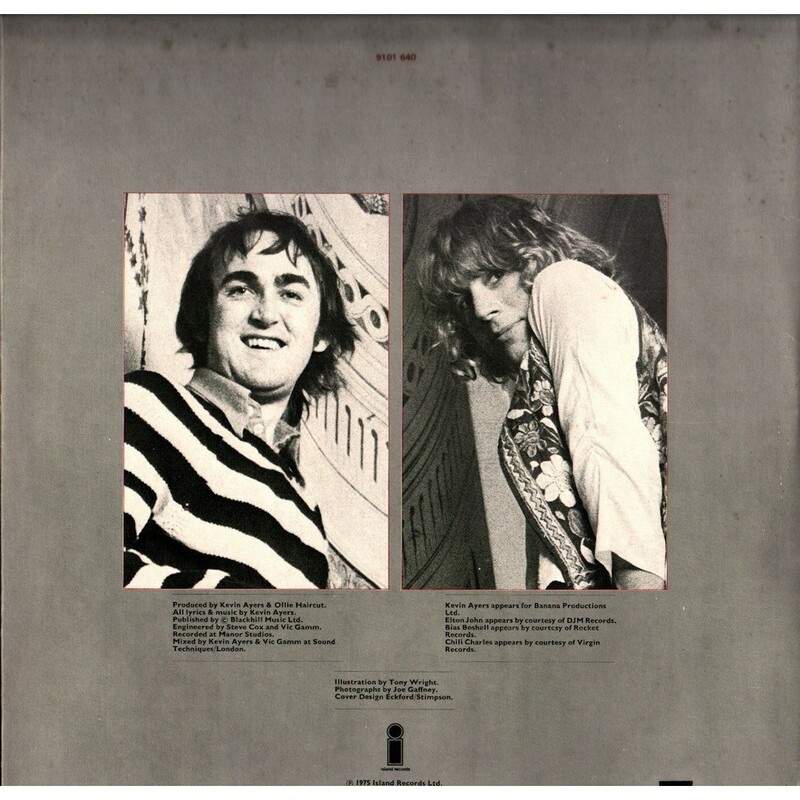 Ollie Halsall, whom Kevin had met at Abbey Road studios in 1974, was now a key influence and his guitar playing on the track ‘Observations’ demonstrates his dexterity and musicality. Ollie is credited as co-producer for the album. Elton John also joined the sessions, contributing some outstanding piano work to three tracks including ‘Circular Letter’ and the exquisite ‘Toujours Le Voyage’. In retrospect ‘Sweet Deceiver’ does exactly what it says on the label although the question might be “Who’s deceiving who?” Besides Kevin’s obvious disenchantment with various aspects of the music business there are some very beautiful lyrics and melodies on this record. Kevin’s next album ‘Yes We Have No Mananas…’ would be recorded on the Harvest label.